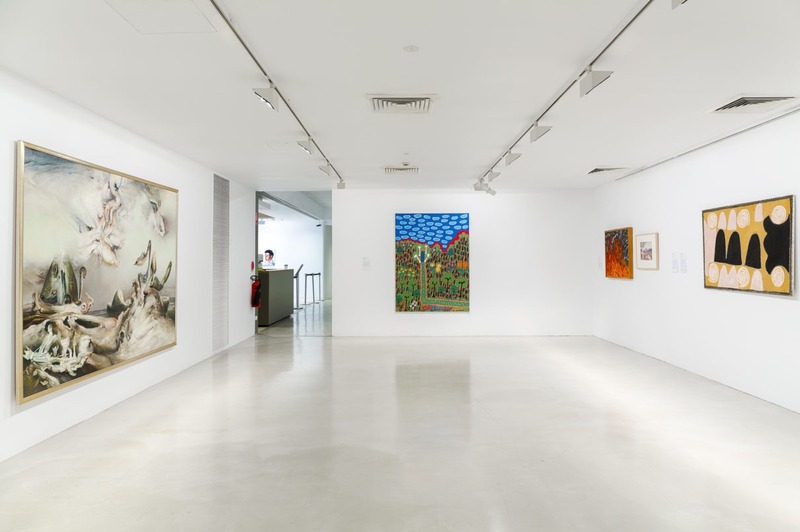 This exhibition brings together reflections on the Australian landscape by artists from across the country through a variety of forms. Landscape art has had a long tradition in influencing Australian art and continues to survive. The appreciation of the natural world as subject for inspiring works and as a vehicle for revolution remains as a major theme. Artists reflect on landscape in this time, facing issues in a period where society is faced with mass displacement, destruction and climate change of the environment and land being traded as a valuable commodity. The junction between the battle of survival in the natural world and overwhelming awe mixed with connection to country emulates from these works through generation and family connections. Somewhere Between Sky and Earth encourages us to peer out in consideration to the very point on the horizon where the world disappears and begins once again.